Weekly news and views from around the world and beyond. The X-Files, the longest running sci-fi series in US television history, has announced it will return, briefly, to US television. All the familiar faces will return. But what is the agenda? Per the Zetas, the original series accurately reflected the struggle for secrecy within the US government. The X-Files is an American science fiction horror drama television series created by Chris Carter. The program originally aired from September 10, 1993 to May 19, 2002 on Fox, spanning nine seasons and 202 episodes. The series revolves around FBI Special Agents Fox Mulder (David Duchovny) and Dana Scully (Gillian Anderson) investigating X-Files: marginalized, unsolved cases involving paranormal phenomena. Mulder believes in the existence of aliens and the paranormal while Scully, a skeptic. By the end it was the longest-running science fiction series in U.S. television history. The US broadcaster Fox has confirmed that a six-episode series will begin production in the summer. The broadcast date has yet to be revealed. Chris Carter said that if the movie proved successful at the box office, a third installment would be made going back to the TV series' mythology, focusing specifically on the alien invasion and colonization of Earth foretold in the series final. 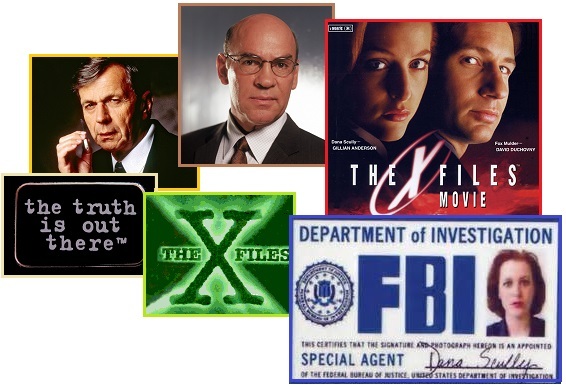 ZetaTalk Comment 12/15/1995: The X-Files premise is that agencies such as the FBI and CIA encounter and investigate the paranormal, the extraterrestrial, and keep files on such encounters. This is quite true, but they are not termed X-Files. This data goes by many names, all designed to avoid drawing attention. The mazes within the intelligence agencies cause even their leadership to get lost. The series has been wildly popular, in no small part because the producer does not shy away from controversy - he embraces it. Thus, the series has been encouraged to be more and more bold, as MJ12 wishes the public to adapt to the reality of the alien presence and their government's role in this. Where at first the series flirted with abduction and human experimentation and only alluded to the cold hand of the CIA in suppressing information, the series was encouraged to get graphic and to make the CIA the villains they have, in truth, been. The secret government is multifaceted, and many parts did not participate in the brutality that the CIA presumed that secrecy called for. They wish to be disassociated, and where the true story will in all likelihood never be told, the X-Files is coming darn close to it. Reportedly the return to the series will be brief, and will involve the original focus on a cover-up over the alien presence and the alien agenda. An alien invasion was implied, with humans being implanted to morph into alien bodies and the elite in the secret government having an antidote. The X-Files depicts the secret government handing over citizens to the alien invasion, to buy time for the elite to develop the antidote. A black oil is dripped onto victims faces while they are restrained, to slip into their bodies and begin the transformation. Per the Zetas, for the Fox network to present aliens as evil and determined to take over the Earth fits with the overall agenda of the ultra-right and the CIA focus over the years. They don’t want mankind getting cozy with the visitors, and scare tactics via Hollywood have been the tool of choice over the years. 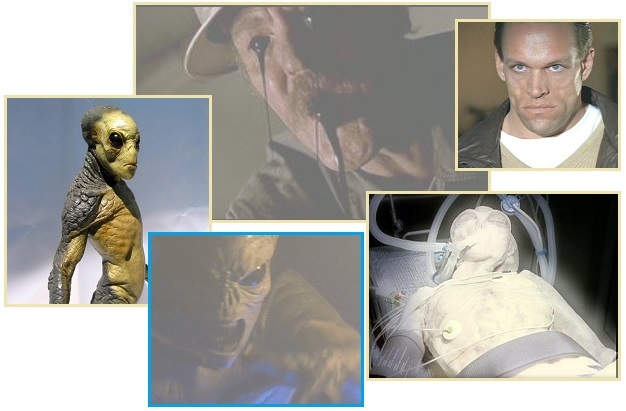 According to the series mythology, an extraterrestrial lifeform, known in the series' mythology simply as the Colonists, were originally present on Earth in the early stages of human evolution. They highly resemble the well-known "grey aliens" in their mature form. In their immature stage, they are more yellowish colored, tall, and very aggressive, possessing fangs, claws and scale-like texture of their skin. This immature form is a protective stage, able to viciously defend itself from birth. This outer skin is eventually shed when the alien develops into its mature form. The immature form resembles that of a reptilian extraterrestrial and is referred to as the "long-clawed" form. The aliens were forced to abandon the planet during the last ice age as their viral lifeforce is deactivated by extreme cold. Upon their departure, they left behind underground deposits of the black oil virus, in preparation for their return. The virus apparently contains the aliens' genetic blueprints, awaiting reconstitution when the master species returns to Earth. ZetaTalk Insight 3/28/2015: The ultra-right establishment has long used Hollywood to spew its version of how the common man should interact with aliens. 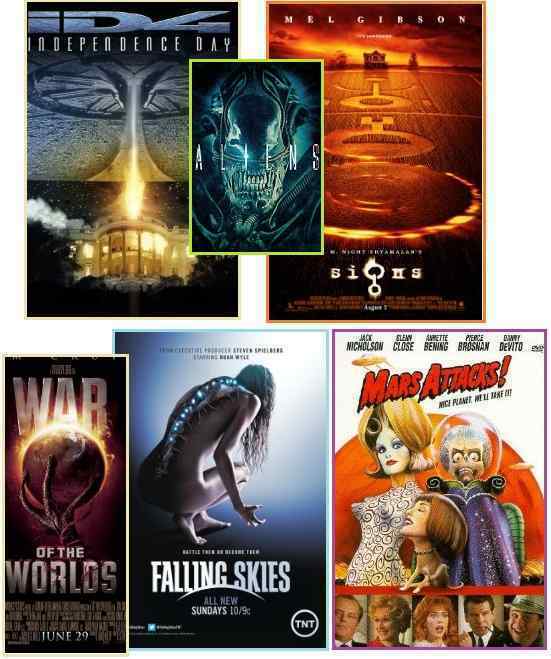 Movies such as War of the Worlds, Independence Day, Falling Skies, Aliens, and Signs show aliens intent on landing and colonizing the Earth. Human are either eaten or enslaved. Despite the attempts of the ultra-right establishment to influence the public, more than half the Earth’s population have become contactees and are happily chatting away with aliens, having made contact. The X-Files director, Chris Carter, has made it clear that any future sequels will deal with the original mythology, which was the intent of aliens to infect mankind and colonize the Earth. This should be no surprise coming from 20th Century Fox, given the nature of Fox News and the man at its helm, Rupert Murdock. The tired theme that mankind should be wary of aliens will be used once again. But unlike the 90’s, when contactees could be counted as a few thousand rather than billions, mankind is now savvy. The much hyped sequel will become a pop-fiction item, like the movie Mars Attacks, watched only for a laugh. The aliens are coming and their goal is to invade and destroy. Fighting superior technology, Man's best weapon is the will to survive. A family living on a farm finds mysterious crop circles in their fields which suggests something more frightening to come. 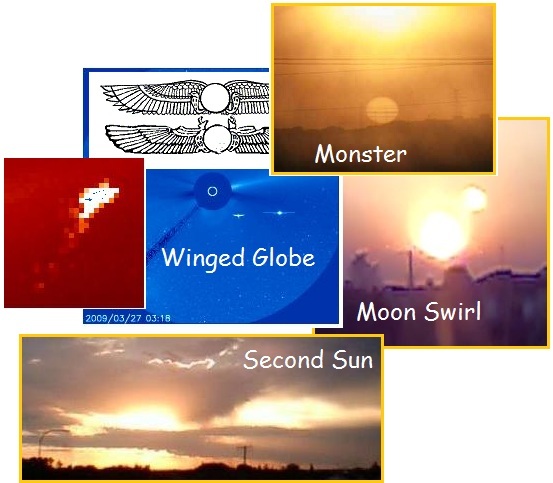 Elusive images of Nibiru, aka Planet X, have been captured as a Second Sun at dawn or dusk when the angle of sunlight striking the vast dust cloud shrouding Planet X reflects directly toward Earth. Images have been captured during the day when filters that filter for light in the red light spectrum allow more of Planet X to come through. These filters include the inserts in floppy discs and mylar. Images have been captured as a Monster Persona when the light from Planet X bends outward and then back toward the gravity pull of Earth, making the monster seem larger than it is in reality. But primarily, photos of the Planet X complex have been of the brilliant Moon Swirls which are formed into tubes and funnel sunlight down the tubes like a flashlight. Webcams have their eyes on the view for hours at a time, and would seem to offer an ideal opportunity to catch images of the Planet X complex, but as with hand-held cameras, the glare of the Sun almost invariably blocks any light from the Planet X complex. Webcams also can deal with reflection issues, where the light from the Sun bounces off a glass enclosure. But one webcam in Italy has proven to be a Godsend, providing regular images of the Planet X corpus itself, with its double helix, almost on a daily basis. But why does it seem that the corpus can be seen even when the clouds are present? Posting on the Pole Shift ning blog dedicated to these issues has raised that question. As everyone has noticed, clouds overhead during the day can be wispy overhead but appear dark when on the horizon. When viewing the horizon, one is looking through layers of clouds, viewed horizontally, picking up every dust particle without the scattering effect that white light from directly overhead can provide. Wispy clouds overhead can appear as nothing more than mist but when on the horizon at dusk can appear gray and dark. In fact, if dense clouds were present, the Italy cam would show the typical orange/red sunset, not a clear light sunset. The most memorable sunsets tend to be those with at least a few clouds. Clouds catch the last red-orange rays of the setting sun and the first light of the dawn like a theatre screen, and reflect this light to the ground. Some of the most beautiful sunrises and sunsets feature solid decks of middle or high clouds that cover the entire sky except for a narrow clear strip near the horizon. The entire landscape takes on a surreal saffron hue as the clouds reflect the fading sun's red and orange glow, allowing very little blue (scattered) light from the upper levels of the atmosphere to reach the ground. When the angle between the sun and the horizon is less than 10 percent, as it is just after sunrise or just prior to sunset, sunlight becomes too red due to refraction for any colors other than those with a reddish hue to be seen. 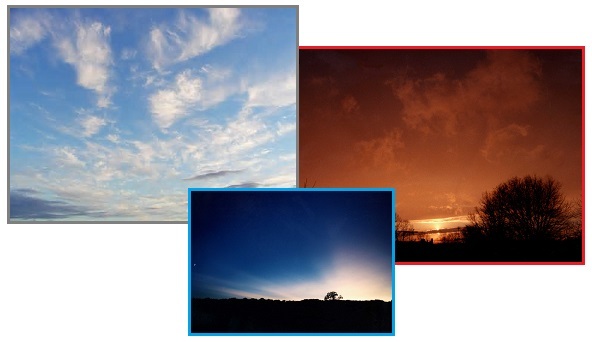 ZetaTalk Comment 4/11/2015: Light can shine through clouds or fog. It is very dense clouds that block sunlight, and even then not completely. These Italy webcam images are taken at dusk, and clouds in the distance at these times appear more dense than they in fact are. They are wispy. The darkness at sunset in distant clouds is due to the lack of white light bouncing around in the clouds, but they are thin, wispy. The Second Sun sightings occur at dawn or dusk, when the curve of the Earth facilitates the bending red light to become dominant. The clouds in this Italy region and the time of day are your clues. What are the clouds like during the day, overhead by the Sun? Has this been researched? From the start of the ZetaTalk sage the Zetas predicted the erratic weather the Earth is experiencing today – increasing drought and deluge, switching about unpredictably, and temperature extremes. The Zetas knew the Earth wobble would commence when Planet X, aka Nibiru, arrived in the inner solar system in 2003. And it did. And the predicted weather extremes followed, as predicted. This issue was last covered in 2012 in Issue 304 of this newsletter and back in 2009 in Issue 151. ZetaTalk Prediction 7/15/1995: Areas of the world which have been deserts throughout mankind's memory will become swamps under constant and repeated rains. Temperate climates used to periodic gentle rainfall will suffer intractable droughts. Then this will switch about, for no apparent reason. All the trends and signs will only acerbate, with the oceans warmer still, the weather more erratic and unpredictable still. ZetaTalk Prediction 7/29/2005: We warned at the start of ZetaTalk, in 1995, that unpredictable weather extremes, switching about from drought to deluge, would occur and increase on a lineal basis up until the pole shift. Where this occurred steadily, it has only recently become undeniable. ZetaTalk, and only ZetaTalk, warned of these weather changes, at that early date. Has the lineal increase we predicted in 1995 reached its climax? We are not here with good tidings, nor were we here with good tidings in 1995. ZetaTalk, blunt and honest, is not for the faint at heart, but for those willing to take a serious warning and act on it. The coastlines will get increasingly inhospitable, as storms formed over the oceans can develop into a howling rage that dissipates over land. In some places around the globe, this will make coastlines uninhabitable, a place where crops are grown or fish harvested but where humans do not reside or sleep soundly. Temperature extremes, and in particular temperature swings, will increase, so that the seasons almost blend into one another. The key will be the unpredictability, as a looping jet stream and increasing extremes of high and low pressure over land will force the atmosphere into unexpected directions. While California is in an intractable drought due to a low snowpack in the mountains, the Atacama Desert in Chile has experienced the worst deluge in memory. This executive order is done under emergency power. It has the force of law. Very unusual. It’s requiring action and changes in behavior from the Oregon border all the way to the Mexican border. It affects lawns. It affects people — how long they stay in the shower. How businesses use water. If they don’t comply, people can be fined $500 a day. Districts can go to court to get a cease and desist order. Calfornia Gov. Jerry Brown ordered a 25 percent overall cutback in water use by cities and towns in the golden state on Wednesday but as these photos taken on Saturday show, the ongoing drought is already taking its toll on once Technicolor landscape of lush yards, emerald golf courses and aquamarine swimming pools. The crackdown comes as California and its nearly 40 million residents move toward a fourth summer of drought with no relief in sight. I was born in this area of Chile considered the driest in the world. We have never had rains of this magnitude in the past 80 years and our towns and cities now have a meter or more of mud. 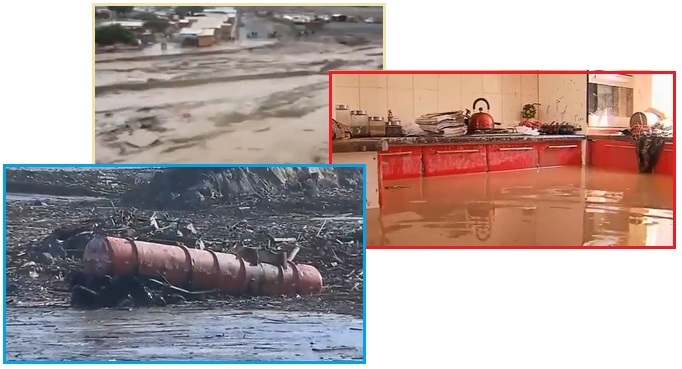 Communities in a desert region of northern Chile struggled to cope with rain-provoked flooding that has claimed the lives of at least seven people, knocked out power and cut off roadways. Thunderstorms with torrential rains moved into the Atacama desert region, causing the Copiapo River to overflow its banks. The flooding is the worst rain disaster to fall on the north in 80 years. The government declared a state of emergency, putting the region under military control. While a polar express descended on the eastern half of Canada and the US, breaking temperature records everywhere it touched, Alaska continued to melt and virtually swelter! Both temperature extremes are wobble related. A ferocious blast of bitterly cold air straight from Siberia was set to roar through the eastern and southern USA, dropping temperatures to historically low readings as far south as Florida. 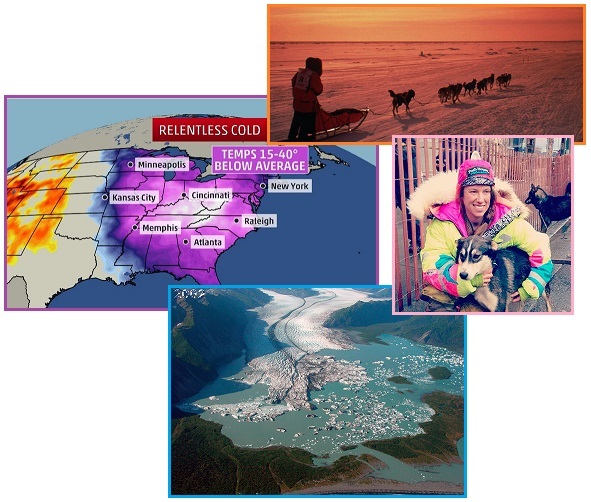 "This could be some of the coldest weather since the mid-1990s for parts of the Southeast US. This year’s Iditarod has been rerouted—twice—due to the warm weather. Last year was Alaska’s warmest on record and the warm weather has continued right on into 2015. A recent shift toward warmer offshore ocean temperatures is essentially adding more fuel to the fire, moving the state toward more profound tipping points like the irreversible loss of permafrost and increasingly violent weather. ZetaTalk Confirmation 2/28/2015: This is a result of the Polar Push, where the magnetic N Pole of Earth is shoved away daily when it comes up over the horizon to face the Sun and the approaching Planet X, aka Nibiru. The magnetic N Pole of Earth is now positioned over eastern Siberia, which is bitterly cold while Norway and Sweden, just as far north, are warm. The magnetic N Pole of Earth receives less sunlight, and as the globe then leans to the right the northeastern part of N America likewise is cold. The lean to the left, next in the Figure 8 wobble, gives Europe more sunlight while the magnetic N Pole is on the far side of the globe, as does the bounce back from the Polar Push which gives Alaska its warm temps.